Real Experience. Real Support. Real Opportunities. 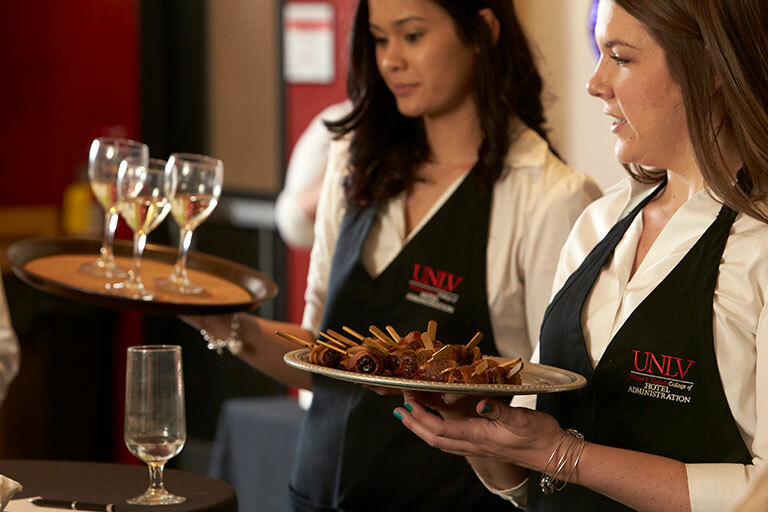 One of the top-rated hospitality management programs in the world, the Harrah College of Hospitality boasts a brand new, ultra-modern learning facility located just blocks away from the epicenter of the hospitality industry—the Las Vegas Strip. Here, the college’s some 2,300 students receive an immersive, well-rounded education from an expert faculty as well as one-on-one support from advising and career services teams that are committed to your success. *Don’t forget to explore our graduate degree programs (offered both on-campus and online). Before news arrived of a full scholarship and a new car, these seven gifted young women had never really known a free ride. They've overcome economic hardship to outright neglect on their journey to UNLV.